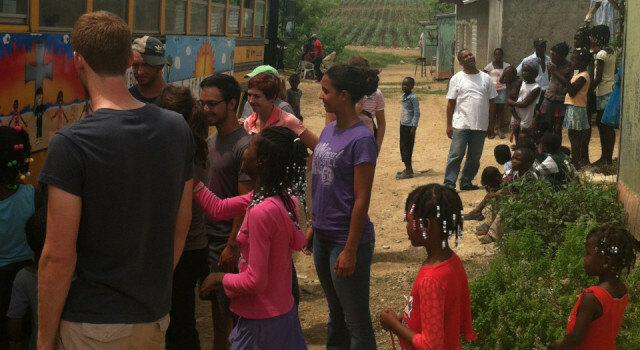 In July of 2013, a group of KCAD and FSU students embarked on a trip to the Dominican Republic to solve the problem of water quality, sourcing, treatment, distribution and other varying factors. 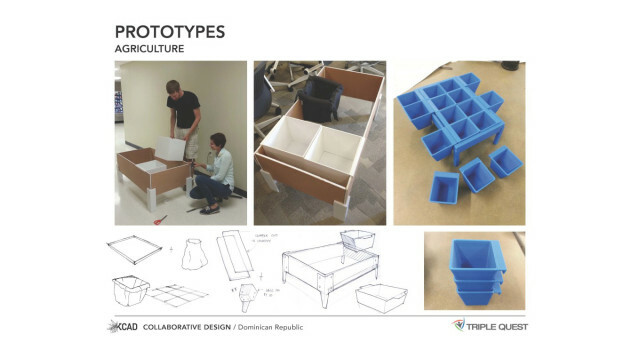 With help from Triple Quest of Cascade Engineering, the safe water team, and Aqua Clara, the students worked to better understand water systems, community, the triple-bottom line, and human-centered design. 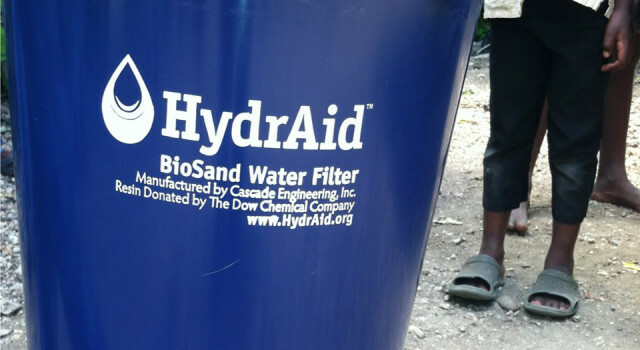 Students worked in Haitian bateys installing Triple Quest’s Hydraid Biosand water filtration systems. This experience helped them not only collect vital information about the surrounding culture, education, transportation, and economy, but also to apply what they learned to develop their own design solution.The group held a debrief meeting at Cascade to present their experience and findings through their work with the Hydraid filter. They decided that they wanted to tackle the issue of food growth, food safety, and food storage. 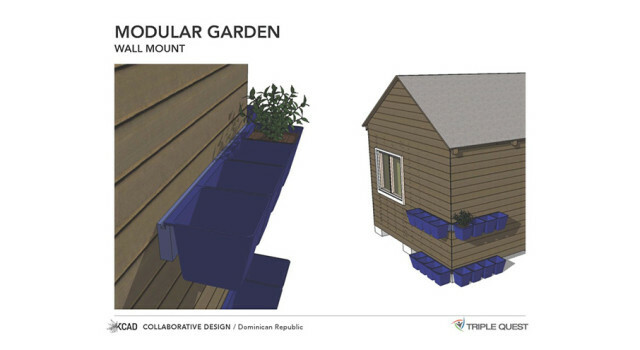 After much work, ideation, and prototyping, they came up with their final solution: a modular gardening system. Their gardening system needed to be universal and able to be used globally in different climates. The system is raised off the ground to accommodate the island’s heavy rainfall, soil erosion, and animal and human interference. It has the ability to be mounted on a vertical surface such as the outside corner of a home, or a windowsill. The system’s pods can also be set on the ground if necessary, and serve as a composting system to prevent development of waste. A lot of hard work and collaboration went into this experience, and we at KCAD hope to revisit the Dominican Republic in the future.